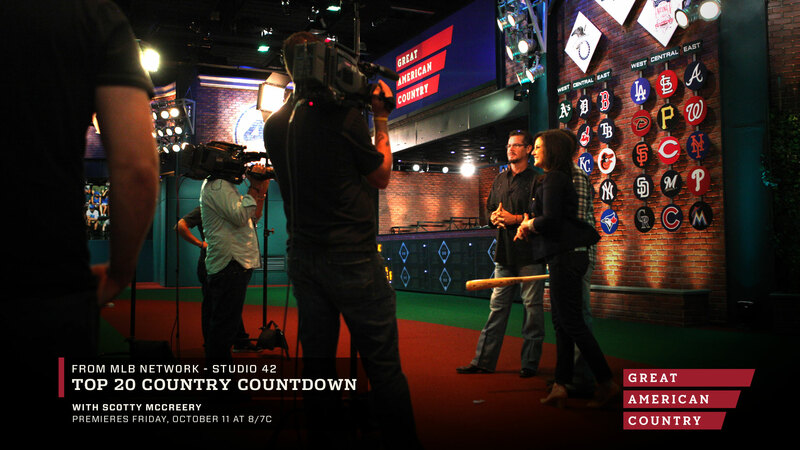 I just had the pleasure of spending a day at the MLB Network studio in Secaucus, N.J., and we were there with the crew from Great American Country, doing the Top 20 Country Countdown for their show that premieres at 8 p.m. ET on Friday, Oct. 11. We hosted it with Nan Kelley and also MLB Network analysts and former World Series players Mitch Williams and Kevin Millar. It was a lot of fun — those shows are great. It kind of worked out well in my favor that this week I was No. 1 on the show with “See You Tonight” so that’s pretty awesome. Someone asked me what it feels like to say “No. 1” in describing your music. It’s an awesome feeling. I’ve got the greatest fans in the world, and they’ve rallied behind me time after time, and they love the feeling of having my back. They love helping me out. That’s great to have a fan base like that. Any show like this, anything like that, they’re quick to get on it. Just talking baseball with Kevin Millar . . . I’m trying to hold it all in, but that’s crazy. I love when you meet guys like that and they’re just normal dudes, just like how you hoped they would be. Kevin, golly, I remember watching that dude in ’04. He was kind of the ringleader, it seemed like — “Cowboy Up,” calling them all “Idiots.” He seemed like the guy behind it all. It was cool to talk ball with him. Like I said in the previous posts here, I grew up mainly a Red Sox fan and I was really into it back in ’04. I had Yankee friends. Me and my Dad, obviously we were huge Red Sox fans. I remember thinking, “OK, we’re out. Down 3-0, no one’s ever come back from that.” And then, one game down, two games down, three games down, and somehow we win that ALCS and then sweep the Cardinals to Reverse the Curse. Wait till Eighter sees this! 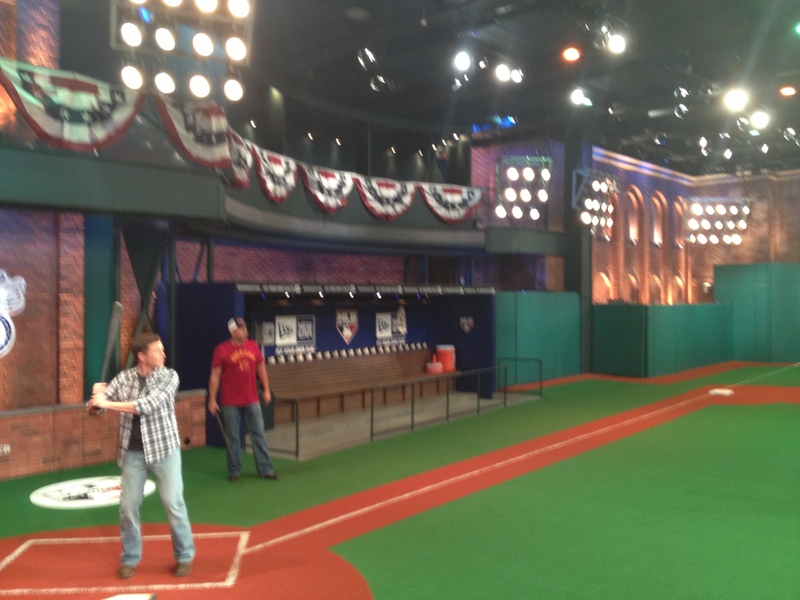 One of the highlights of the MLB Network visit was when they presented me with a No. 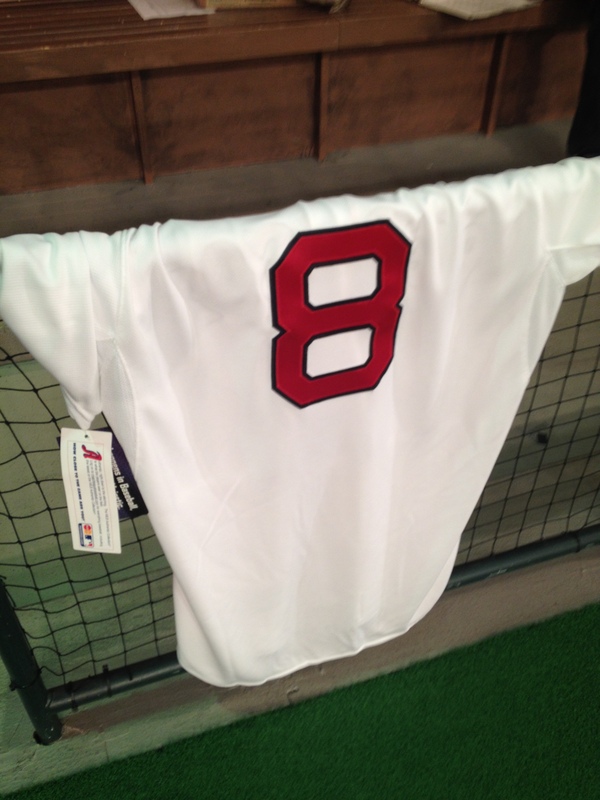 8 Red Sox home jersey. My Dad’s gonna love it. All of us obviously are Yaz fans — Hall of Famer Carl Yastrzemski, who wore that number. His grandson plays at Vandy. It’s just cool, because Vandy’s field is modeled after Fenway. Also 8 was my number, and my Dad’s number was always 8. We always called him The Eighter. I played ball growing up 8. Whenever we’re in crowds now, and he doesn’t want to call my name so people would recognize me, he says, “Eighter!” I turn around, and there he is. Nobody else knows it. That’s kind of our code name now. We’re trying to stay low. 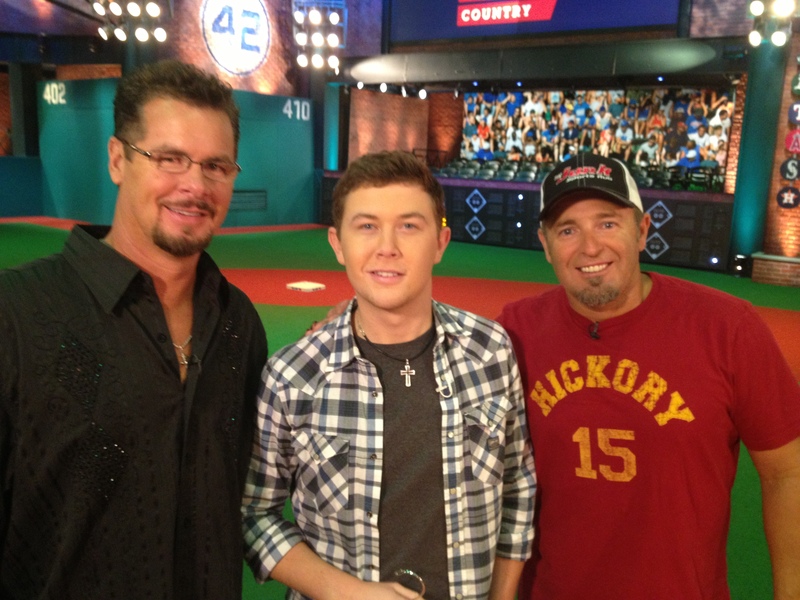 It was also great to be on MLB Network’s “Intentional Talk” show with Kevin and Chris Rose while I was there. 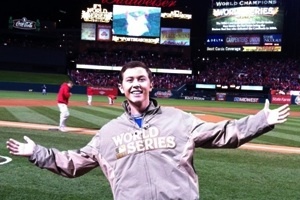 You can watch the clip here, and hope you all are enjoying the #Postseason! Welcome to my blog! This is where I'll be talking about one of my two life-long loves: baseball. I'll also be connecting with fans and sharing some updates from my life.